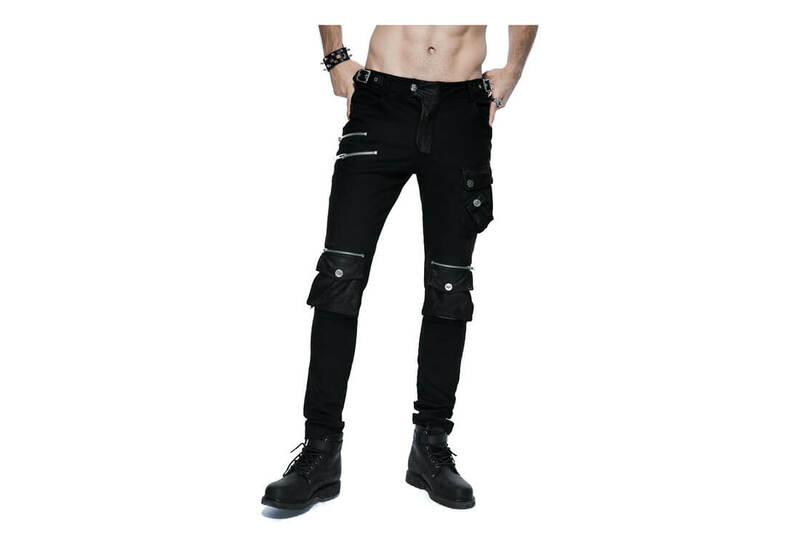 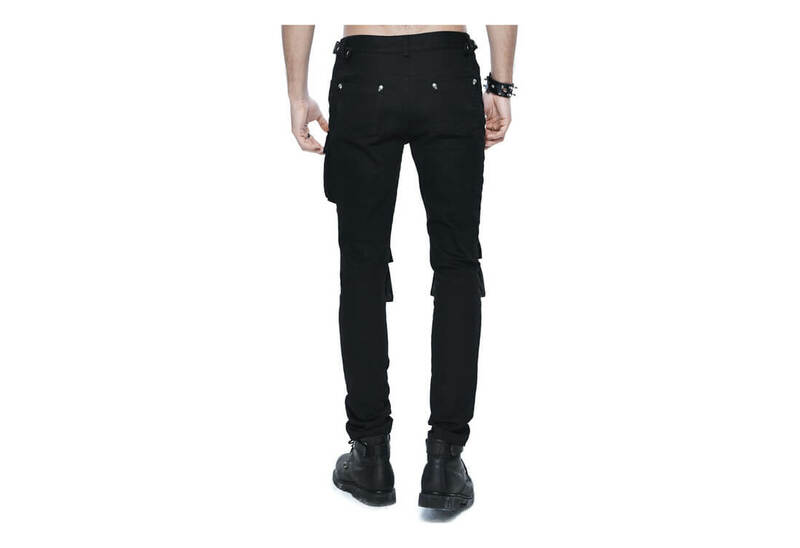 The Nefarious men's pocket pants by Devil's Fashion is a comfortable stylish pair of pants. 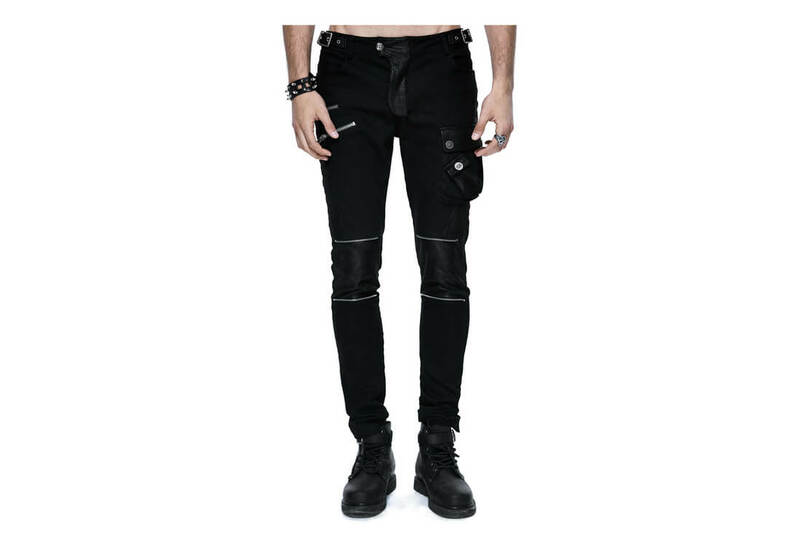 It comes with buckle detailing on the waist, zipper details on the right side, A double pocket on the left and two removable pocket on the knees. 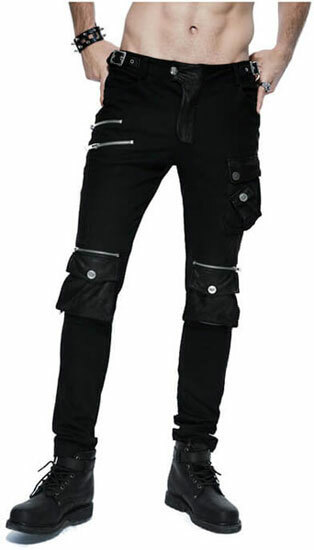 They also have two back pockets with skull rivets.